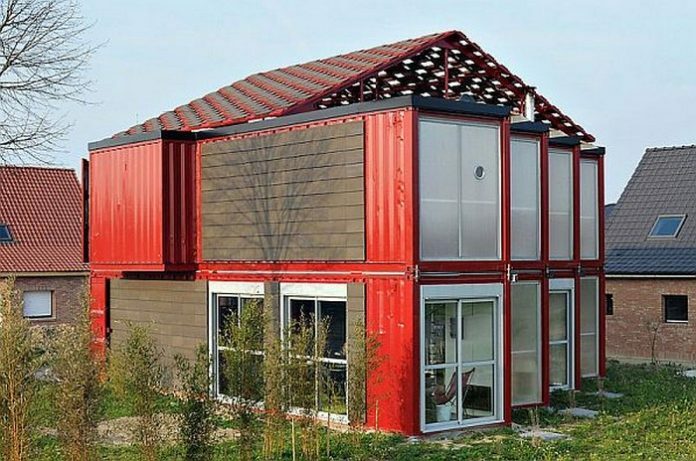 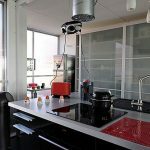 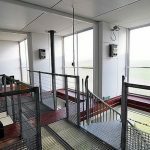 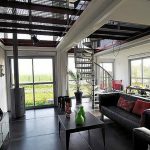 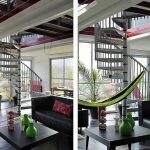 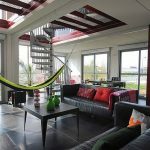 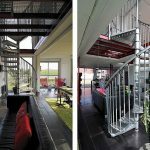 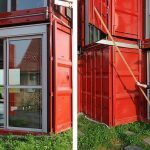 If you are a fan of container homes then you are going to like this house, which exhibits industrial beauty both inside and out! 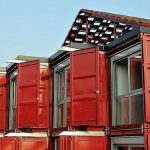 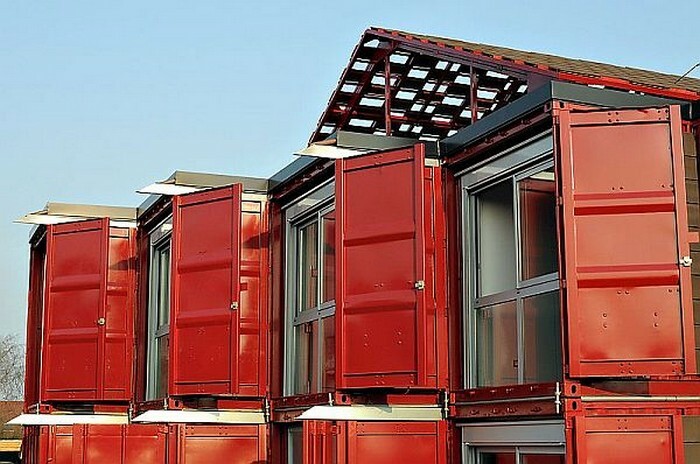 This conversion project involves eight prefabricated shipping containers transported by truck and arranged with a crane. 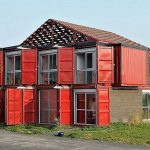 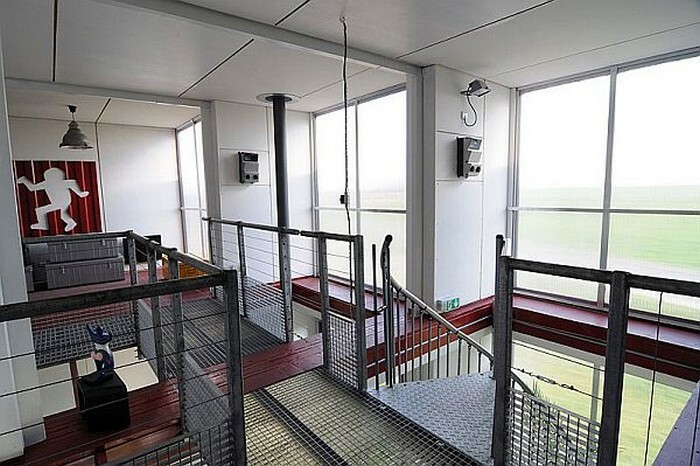 Each end of the shipping container was fitted with large windows for letting natural light in, but the original doors were retained to serve as shutters when needed. 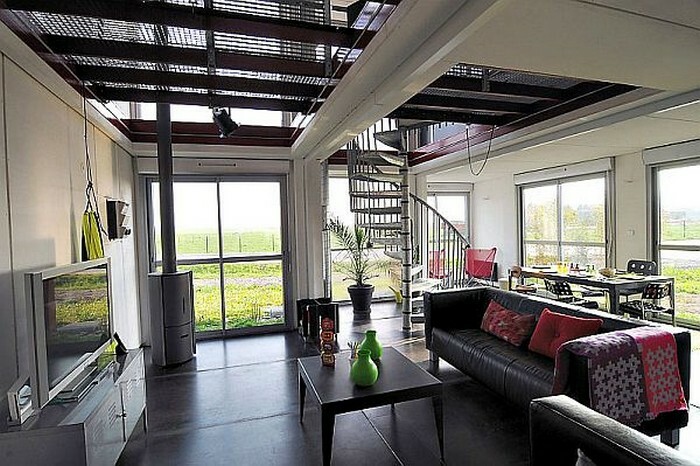 The first floor contains the living room, kitchen, laundry room and a restroom. 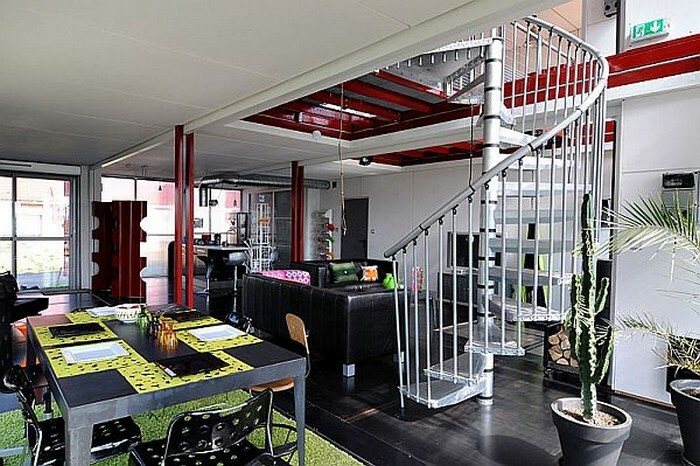 Upstairs, you can find three bedrooms, two bathrooms and a home office. 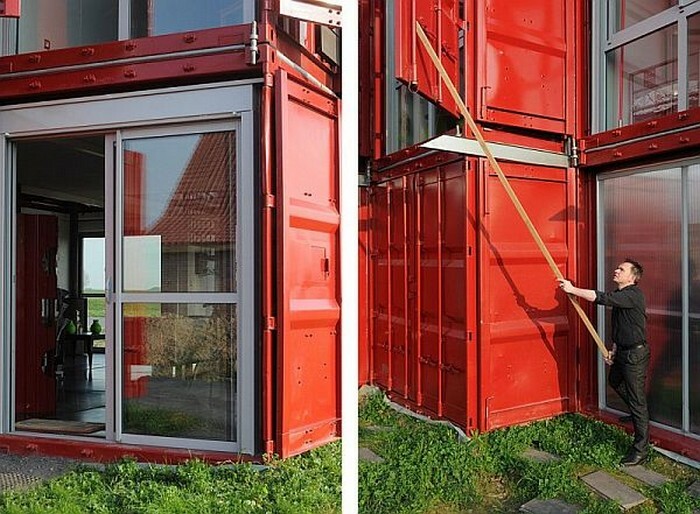 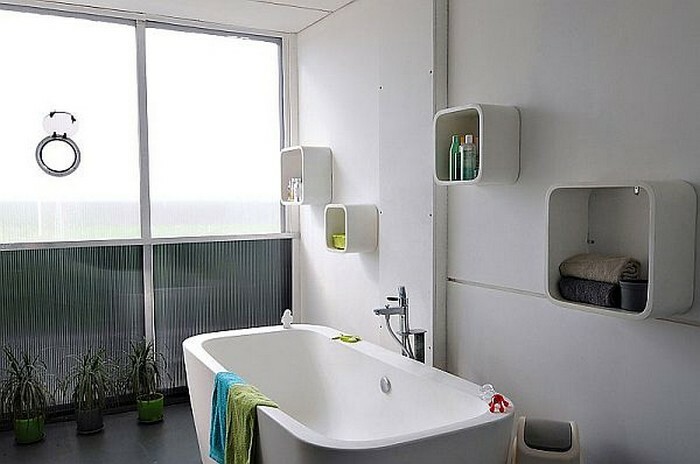 Its interior design, which was a client requirement, maintains the exterior aesthetic of the shipping containers. 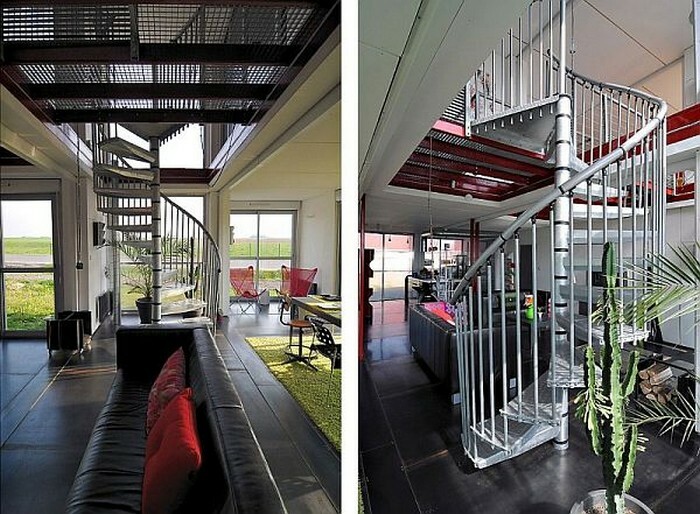 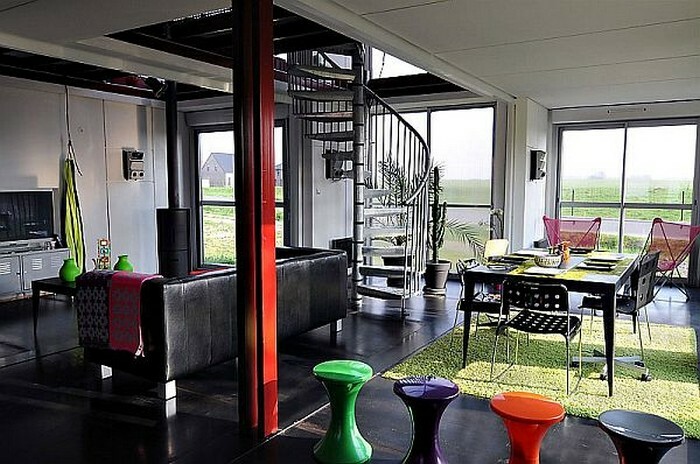 Steel staircase and railings, dark flooring and furniture, balanced with white walls and red accents fill up these unified shipping containers. 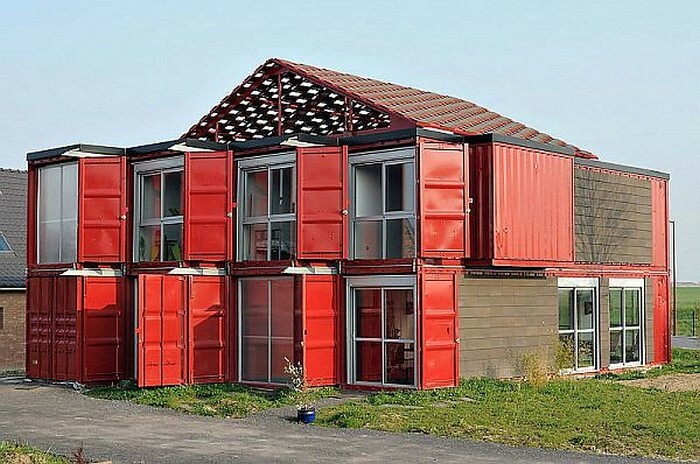 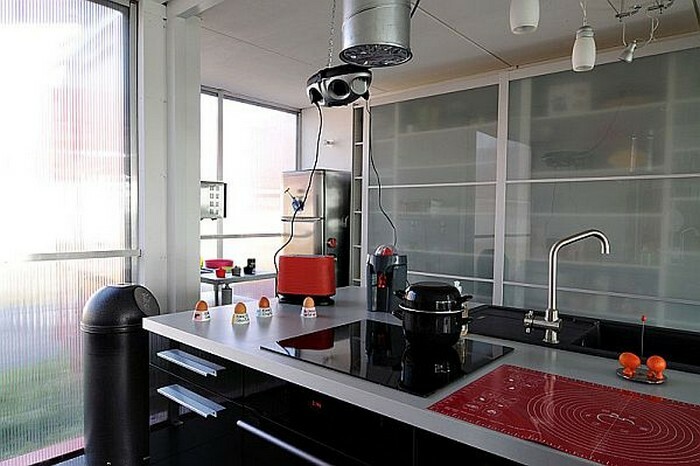 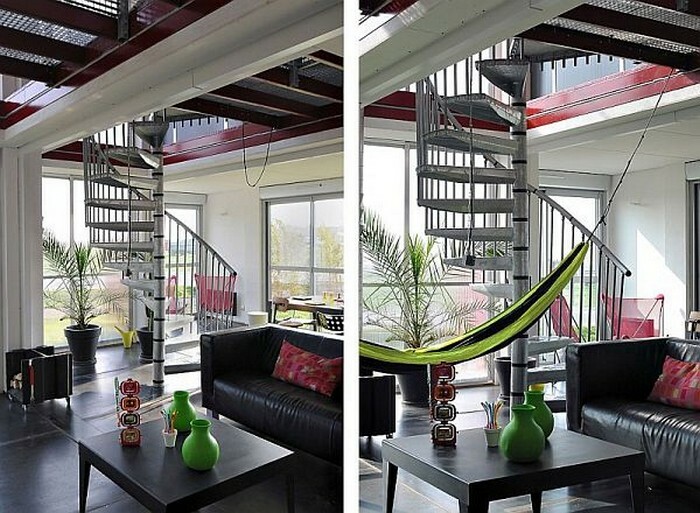 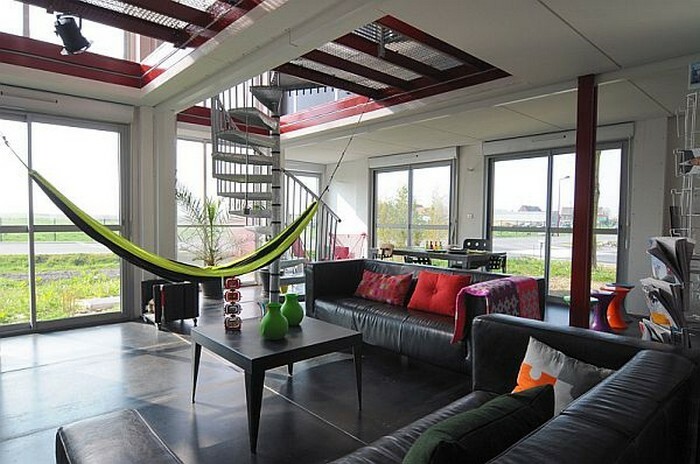 Despite its industrial look, the home is definitely a pleasant living space that shipping container fans will love! 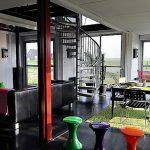 Previous articleBarn home featuring large art studio! 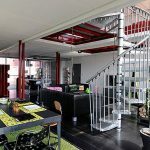 Next articleThe 1950’s Time Capsule Home!